Caroline is desperate to reach Oregon and find her only living relative. 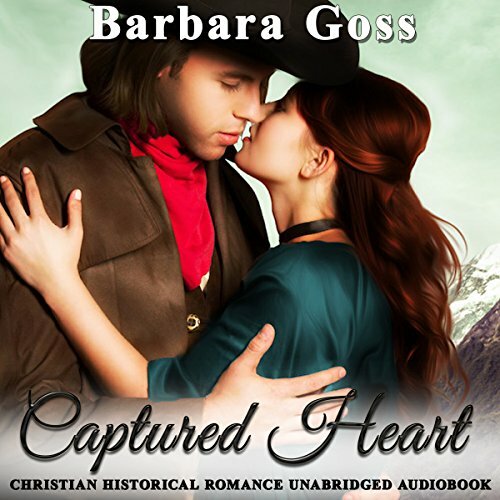 She persuades Simon, a man traveling on a wagon train, to let her pose as his wife. As they face and overcome capture by Indians and other dangerous adventures along the Oregon Trail, Caroline and Simon bond as friends. When they reach Oregon and Caroline's Aunt Hattie, they go their separate ways as agreed upon at the beginning of their farce. Soon, they both realize that parting was a mistake. Did love come too quietly for them to recognize it—and have they lost their chance? Will they find each other again? Ivy Jeffries falls hopelessly in love with Jonas Armstrong, a man who has forced himself into a somewhat reclusive lifestyle owing to his sordid past. Ivy is elated when he finally lets his guard down and kisses her. She thinks they are now moving forward into a relationship, until he tells her it meant nothing to him. How could a kiss like they shared mean nothing to him, when it meant the world to her? 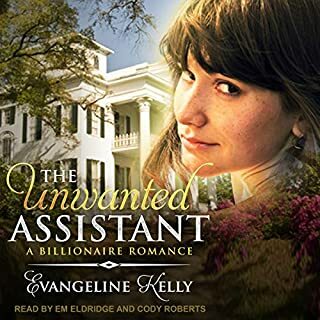 Christian romance: Two men vie for Amanda. One wanted the beautiful, fiery Amanda for his bride...the other for wealth and pleasure. Would her innocent trust be her undoing? Which one will capture her heart? Traveling to California on a wagon train, Amanda's family dies of cholera. She had prayed that they would live. Amanda is mad at God for letting them die. Eventually, she learns God did listen to her prayers, in a very extraordinary way. Amanda faces many perils on the trail including being captured by Indians and an evil adversary. Once Amanda realizes her true love, she can't find the words to tell him until it's a matter of life or death, or too late. This well written story captures the adventure of the Oregon trail, family hardships, and Christian values. It is such a heartfelt journey that not only shows the physical struggles but emotional and spiritual challenges along the way. For all who enjoy Christian western romances I highly recommend this book. Narration was well done. She has a good western style voice that added to the books enjoyment. Amanda and her family are traveling with a wagon train to California when her family is struck down by cholera. Left all alone, Amanda blames God for not answering her prayers. She joins another wagon party to continue to California, but the odd family puzzles her. The brash mother, dandy son, and ill daughter are an odd combination. When the son, Charles, begins to pursue Amanda, she's tempted to accept him. But her friend Luke warns her not to trust Charles, and she starts to think that things are not all they seem. But before she can decide who to trust, she's kidnapped in the middle of the night. I've always enjoyed stories about the Oregon Trail, I can't imagine the strength it took to pack up everything and take such a journey. Barbara Goss conveyed all the risks and challenges, and also told a compelling story with interesting characters. I waffled between admiring Amanda as a strong brave woman, to wanting to hug the poor motherless girl. Even though the story was told from Amanda's point of view, Luke was fleshed out so well I felt like I'd read chapters from his as well. Jan Ross was a good narrator, with an easy pace and speaking voice. She performed different voices for each character. I received a copy of the audiobook and I'm voluntarily leaving a review. This was a clean standalone novel with a Christian message. Sometimes a story comes to its end and the two most dreaded words are "The End". This is what I felt on hearing them but thankfully there are other stories still to be read by this imaginative and talented writer, Barbara Goss. This book/audiobook tells of the love growing between Luke and Amanda, the test of her religious beliefs after losing her parents and siblings to cholera, the meeting of Luke's brothers and then being welcomed by the rest of his loving family after a small adventure on her wagon travels to Philadelphia and all this makes it an enjoyable and refreshing story. I also enjoyed the narration by Jan Ross. An audiobook version was provided by the author at no cost and this is my honest and unbiased review. Would you listen to Captured Heart again? Why? Yes. I read it straight though because it was so good and I wanted to see how it ended. If I read it again, I'd slow down and enjoy the 'trip'. Have you listened to any of Jan Ross’s other performances before? How does this one compare? I would read other books by this author and narrator. Sometimes we go through hard times and wonder why we are having to deal with this. Captured Heart answers that question and shows that God is still in control in the tough times. Amanda has to deal with the loss of her entire family while heading west with a wagon train. There are two men who are willing to help and it takes some time to see the true colors of both men and learn why they are really interested in helping her. But there is more at stake than just Amanda's future. Perhaps the pain Amanda has suffered will result in saving the lives of many girls traveling on the wagon train. My initial opinion of Amanda based on the narrating was that she was maybe 13-15. But as the story went on I can to realize that she had to be a bit older than my initial judgement. Other than the main character sounding a bit on the young side, the voices done by the narrator were appropriate and believable and she brought the story to life well. Author Barbara Goss does not hesitate to take on strong subjects and this tale proves no exception as villains and prayer and redemption vie in a wagontrain heading for San Francisco. There is a full panoply of characters representing most aspects of the wild west, including Indians and cowboys and settlers and city folk and--well, don't want to offer spoilers but there is a rich cast coping with a wide variety of circumstances, starting with cholera. 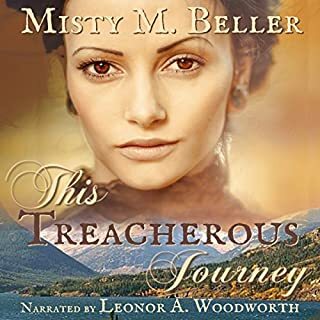 I listened to the excellent narration [AUDIO] of Jan Ross who gave our heroine a decidedly midwest inflection and beautifully captured a number of other accents and voices which added greatly to the dramatization. 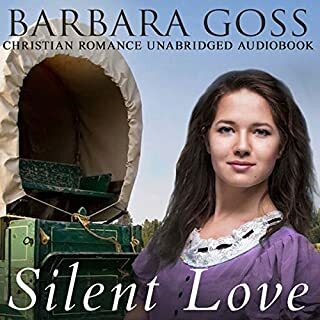 Barbara Goss writes clean christian romances that take place in the 1800's. I enjoyed this sweet story of the Oregon Trail. This story was a fresh perspective and had a sweet love story. I have listened to several books by this author and enjoy her style. The narrator (Jan Ross) was new to me, but I just didn't connect with her voice expressions and delivery for this book. Some of the voices the narrator performed were very well done, while others were grating. My review is not a synopsis of the book, but rather my opinion of it. I was given this free review copy audiobook at my request and have voluntarily left this review. OK, I know I keep saying this after every Barb Goss book but I think this one may be my favourite. Fantastic story and enjoyable narrative. I got this ARC via audiobook boom. This is a story of loss, losing your way, blaming God, forgiveness, finding your faith, and steadfast determination to be what God wants you to be all wrapped up in a trek toward California along the Oregon Trail. Examples of how God uses tragedy to win souls is shown throughout the book.There are several HEAs as well. The narration was very well done. The only voice I found unpleasant was Amanda's. She sounded like a ten -year-old girl rather than the h of the story. If you could sum up Captured Heart in three words, what would they be? The emotions. Barbara Goss knows how to pull at your heart strings. This is the first time I've heard Jan Ross's performance so I have nothing to compare it to. I did feel a lot during the book. I didn't cry but the feels were strong with this book. I was voluntarily provided this review copy audiobook at no charge by the author, publisher and/or narrator for an honest review.